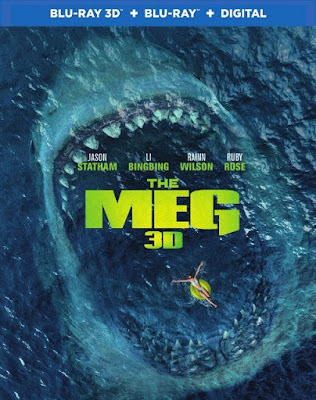 The Meg starring Jason Statham, Rainn Wilson, Li Bingbing, Ruby Rose, and Page Kennedy is now available for purchase and digital download. It did not enjoy rave critical reviews but I enjoyed it. Statham is not showing off his fighting skills in this one but he still gets to help save the day. Statham's character, Jonas Taylor, is a washed-up rescue diver who is recruited to rescue his wife from beyond the deep blue sea. 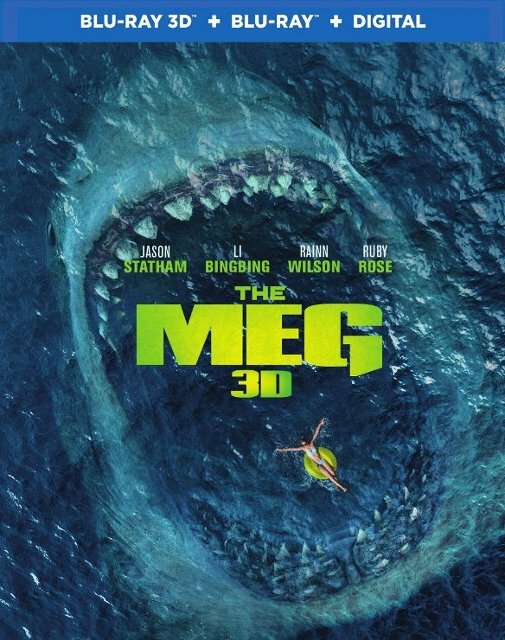 This creates the initial tension and conflict of having him back before moving on to the real problem- the megladon. This movie had just the right amount of comic relief and actions. Conversely, I can see why it got such bad reviews. It can be a little hokey at times but I enjoyed it. Rainn's character was fun and everyone else came together in a weird comfortable way. The pacing was right for the suspenseful elements and for the most part the graphics were on point.